First published September 2011 by IRAN-INTERLINK: The fascinating story of the controversial life of Camp Ashraf in Iraq from its foundation in 1986 to the present day is told in this book. Originally created to accommodate the Iranian opposition group Mojahedin-e Khalq (aka MEK, MKO, PMOI, Rajavi cult) and its leader Massoud Rajavi for coordinating the violent overthrow of the regime in Iran, Camp Ashraf became the MEK’s main military and ideological training base. The MEK later became known as Saddam’s Private Army as it became an integral element in the Iraqi dictator’s repressive apparatus. 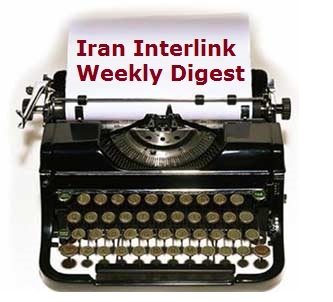 Iran-Interlink.org has published a second report on Camp Ashraf, Iraq and the situation of Mojahedin-e Khalq (aka MKO, MEK) cult members at the camp. After consultation with the Government of Iraq, Massoud Khodabandeh has described events since January 1, 2009.According to the report, Iraq is determined to rid itself of the foreign terrorist cult led by Massoud and Maryam Rajavi as soon as possible, but is hampered by western intransigence over where these people should go. The 3416 individuals inside Camp Ashraf have no legal status in Iraq. They are not entitled to ‘protected persons’ status under the Fourth Geneva Convention. Neither will they be granted political refugee status by Iraq. Nor will Iraq forcibly repatriate them. But, although the MKO has been de-proscribed, at its own behest, as a terrorist group in Europe, no western country is willing to offer asylum to the individuals — even though 1015 MKO members have a passport or residence permit of a third country. After months of fruitless negotiations with MKO leaders — with U.S. observation — a police post was established inside Camp Ashraf at the end of July. In spite of violent resistance by the MKO which led to 11 deaths, the camp residents are now subject to Iraqi law. Following evidence that MKO leaders were committing widespread and systematic human rights abuses inside the camp, the Iraqi Human Rights Ministry, in conjunction with international humanitarian agencies, is now set to properly monitor activity at the camp. Massoud Khodabandeh made several recommendations in his report. The Government of Iraq should remove around seventy MKO leaders in order to protect the rank and file members from human rights abuses and coercion. The camp must be thoroughly searched — something the U.S. Army failed to do since 2003. 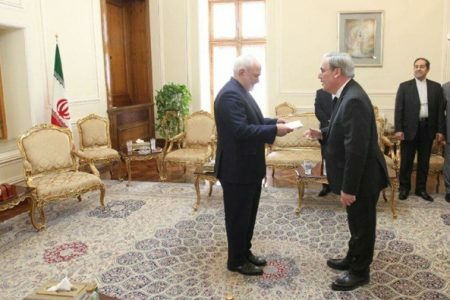 Stressing that western governments bear a responsibility toward the MKO’s victims trapped inside Camp Ashraf, Mr. Khodabandeh says that western politicians must prevent further political abuse of MKO members by the Rajavi leadership and guarantee the rights of those individuals who renounce violence and are willing to return to society. European governments should work with Iraq and the UN to find third countries to which other individuals in Camp Ashraf can be transferred. In February 2008 Massoud Khodabandeh reported his findings following his visit to Iraq as consultant to the Government of Iraq (GOI) on the issue of the Mojahedin-e Khalq terrorist organisation (MKO) and its headquarters, Camp Ashraf in Diyala province. This second report is the result of a follow-up consultation on the issue of Camp Ashraf since the Government of Iraq (GOI) took over responsibility for the base in January 2009 pursuant to the status of forces agreement with the U.S. Since December 2003 successive Iraqi governments (from the first interim government to the present elected government) have demanded that the American Army close Camp Ashraf and remove the foreign terrorist Mojahedin-e Khalq (MKO) militants which U.S. forces had corralled inside it from their country. The current situation therefore is not the result of a new decision by the Government of Iraq. It is based on the MKO’s historical enmity toward the Iraqi people for two decades as part of the suppressive apparatus of Saddam Hussein. The Government of Iraq regards the MKO as a foreign terrorist entity with the additional characteristic that it is a dangerous, destructive cult. Reasons why the U.S. Army failed to close Camp Ashraf are detailed in the RAND report. The following outlines the activities pursued by the GOI and the MKO before July 28, 2009. After the American Army handed over responsibility for Camp Ashraf on January 1st this year pursuant to the status of forces agreement (SOFA), the Government of Iraq (GOI) put into effect several lines of action toward removing the MKO and closing Camp Ashraf as a fundamental aspect of taking full, sovereign control of the country.A joint committee was formed between various governmental departments including the Defence and Security Ministry, Interior Ministry and the Human Rights Ministry. The Committee, headed by Iraq’s National Security Advisor, Dr. Mowaffak al Rubaie, drew up plans and coordinated activities on behalf of the Government of Iraq led by Prime Minister Nouri al Maliki and President Jalal Talabani. Dr. al Rubaie developed a plan for the difficult task of dismantling an extremist cult that adopts an enlightened, humanitarian approach which could become a blueprint for tackling similar organizations worldwide. Government officials held frequent negotiations with the MKO with the observation of U.S. Army personnel. (It should be noted that since the January 2009 handover a contingent of 25 American soldiers has remained at Camp Ashraf in an observational role. To date, they have not raised significant concerns regarding the activities by the Iraqi authorities in pursuit of this sovereign right to dismantle and remove the MKO from the country.) The U.S. has been involved at all times and at all levels, including the US ambassador to Iraq, Ryan Crocker. From January 1, 2009 the GOI’s primary, basic demand was that the individuals resident in Camp Ashraf obey Iraqi and international law. The MKO, in any country they reside, regard themselves as ‘outside the law’ of that country. The Iraqi Government challenged this situation and has been completely open about the process. They could voluntarily repatriate to Iran under the supervision of the ICRC and the Iraqi human rights ministry. 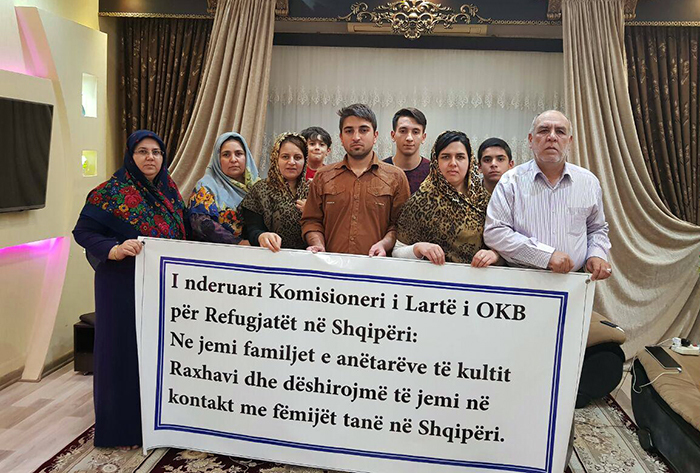 Since 2003 under an amnesty granted by the Iranian government, over 250 individuals from Camp Ashraf have successfully been voluntarily repatriated. They could find a third country to relocate to. It is known that 1015 MKO members have a passport or residence permit of a third country and can leave Iraq for these countries. If these options could not be fulfilled in a short timescale then the GOI would remove the MKO from Camp Ashraf and re-locate them in the far west of the country for their security. The GOI made it clear that political refugee status will not be granted to any member of the MKO in Iraq. From December 2008, the GOI began negotiations with western diplomats in Baghdad in an effort to find third countries to which the MKO individuals could be transferred. 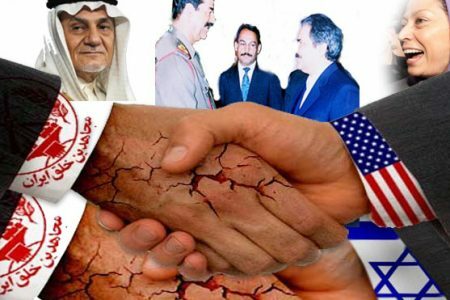 Although these western governments were quick to demand that Iraq should not force any of the MKO back to Iran, none were willing to accept them in their own countries. When, on January 26 the MKO was removed from the EU terrorism list, it seemed there was a fresh opportunity to provide an exit route for MKO members. Unfortunately, Western governments have not been cooperative in offering refuge to the individuals who must leave Iraq for somewhere. In response to GOI efforts to negotiate a positive and peaceful outcome, the MKO leaders showed not only absolute intransigence – they failed to make any concessions at all during the six months of negotiations – but stalled the negotiations by repeating their impossible demands of the Iraqi government.The MKO leaders have, throughout, continued to claim, falsely, that they are protected persons under the Fourth Geneva Convention, although there can be no doubt that the Geneva Convention referred to has not applied since June 2005: http://www.parliament.uk/commons/lib/research/briefings/SNIA-05022.pdf). The MKO leaders demanded that the U.S. is obliged under the terms of the Geneva Convention to continue to protect them. The MKO leaders demand that they remain in the camp as a group, claiming, again falsely, that they have the right to residence in the camp and in Iraq. The MKO leaders have refused consistently to allow any Iraqi (or U.S.) authorities inside the camp. On April 7 it was reported that the MKO leaders refused to allow a group affiliated to the Iraqi ministry of human rights to access the residents of Camp Ashraf. The MKO leaders refuse to allow access to individual members for interview or to allow anyone to leave voluntarily. The MKO leaders continue to demand that the MKO be kept intact as a military/terrorist organisation inside the camp. Hampered by this intransigence, the GOI was faced with a dilemma. 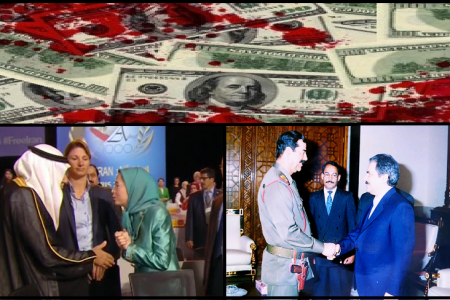 The evidence points to a situation in which the top leaders of the MKO, Massoud and Maryam Rajavi, continue to preside over a situation inside Camp Ashraf in which the individual members are subjected to a harsh and unremitting regime involving daily violations of their basic human rights.Dr. al Rubaie described the MKO as “an indoctrinated and tightly disciplined organization of extremist zealots who have employed terrorism and at times even self-immolation to secure their aims. In normal everyday language we can say that they have been ‘brainwashed’”. It is clear that in relation to human rights violations of the individuals living inside Camp Ashraf, it is the MKO leaders who have proven to be the perpetrators. The MKO leaders have also been actively obstructive, indeed provocative, toward those wishing to investigate and alleviate this suffering. Since January 1, several MKO members have escaped Camp Ashraf. Their testimonies point to a deterioration in the human rights situation in the camp. In response to the many obstacles thrown up by the MKO to their removal from Camp Ashraf, Dr. al Rubaie said, “The Iraqi Army unit posted to defend and secure Camp Ashraf has exercised patience and extreme restraint in spite of the staged provocations and demonstrations that Ashraf’s self-appointed leaders have launched in defiance of the legitimate exercise by the Government of Iraq of its sovereignty.” He added, “Ashraf is not above the law”. The channel interviewed Staff Major General Abd-al-Karim Khalaf, chief of operations at the Iraqi Interior Ministry, via telephone from Baghdad. Asked if “you have any political or military orders to close the camp in the near future,” Staff Major General Khalaf says: “No, not at all.” He reiterated the role of the Interior Ministry in securing the camp and regulating the flow of goods into it. After six months of fruitless negotiation, the GOI decided on a course of action. In order to ensure that the residents of Camp Ashraf were subject to Iraqi law and establish the right to exercise control over protecting their human rights, it was necessary to establish a police presence inside the camp to oversee activities there.On July 28 the Iraqi Army undertook an operation to enter Camp Ashraf with the intention of establishing a police post inside the camp’s perimeter. The Iraqi Army assessed the target as a foreign terrorist group with cultic behaviour which had consistently used violence in the past. It was understood that the group had been disarmed by the U.S. Army and therefore, in order to mitigate the risk of excessive force being used to take control of the camp the Iraqi riot police used in the operation did not carry firearms. The Iraqi Army called in riot police to deal with the violent resistance that was put up by the camp’s residents. The operation took place over two days. Eleven members of the MKO were killed and around 200 injured. Police captain Firaz al-Atbi from the Diyala province police force reported that about 60 members of Iraq’s security forces were also injured, 20 seriously. The MKO reaction was as violent as had been expected, perhaps more so. The MKO’s own videos, which were broadcast uncritically in western media, show MKO women commanders in military uniform directing the rank and file in violent attacks on Iraqi personnel. Iraqi riot police are shown with rope batons, harshly beating back the massed protestors. Iraqi police officers reported that the MKO were being directed to throw themselves under the path of moving vehicles and that many of the casualties and some of the MKO deaths resulted from this type of activity. Police also reported MKO members hitting their own heads on the tarmac to create superficial head injuries. On August 1, following the approval of Iraq’s government, a medical team from the US-led Multinational Force-Iraq arrived at Camp Ashraf to provide medical assistance to the injured MKO members. By August 2, the Iraqi police had established a post inside the perimeter of Camp Ashraf and renamed the camp as ‘Camp of New Iraq’ under the flag of Iraq. The Diyala province’s Police Chief Major General Abdulhussein al-Shimari issued a statement that “members of the Mojahedin-e Khalq Organization (MKO) at Camp of New Iraq have to comply with the one-month time limit to leave Iraq. 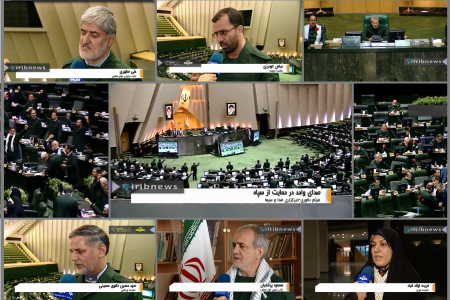 The organization members should either return to Iran or seek asylum in a third country”. Also on August 3, a mass grave was discovered inside the MKO camp. Diyala province police officials said that the mass graves contained the bodies of Kuwaiti nationals who had fallen victim to the Ba’ath regime’s seven month-long invasion of Kuwait. “We have been informed that a mass grave has been found in Camp Ashraf. Of course we knew there was a graveyard in the MKO headquarters, but we had thought that it was a place of burial for MKO members,” said Abdulhussein al-Shemri, a local police commander. Independent confirmation of this report will expose MKO complicity in Saddam Hussein’s war on Kuwait, which killed more than 3,664 Iraqis and 1,000 Kuwaitis. MKO leaders are said to have kept the mass grave a secret so far by refusing the entry of Iraqi (and previously U.S.) forces into their base. Following the operation to set up a police post inside Camp Ashraf, the MKO launched a propaganda blitz in western media. This relied initially on the uncritical dissemination of films shot by the MKO leaders from inside Camp Ashraf which showed alleged Iraqi brutality toward the MKO ‘victims’. In line with typical MKO propaganda tactics, they disseminated false reports that up to two hundred MKO had been killed by Iraqi security forces. The Iraqi security forces announced 11 deaths from among the MKO members. These eleven were buried very quickly inside the camp by the MKO without any ceremonies. Iraqi authorities were refused access to the bodies in order to carry out post mortem examinations. This is contrary to the normal MKO custom of holding elaborate military ceremonies headed by leading members to bury their martyrs. The Iraqi police say that five of the dead were among those who deliberately threw themselves under Iraqi vehicles during the operation to enter the camp. There are also unconfirmed allegations that other victims bore injuries consistent with falling from high buildings. Iraq’s Human Rights Minister, Ms Wijdan Michael, believes that at least some of those killed are from among those people known to have problems with remaining with the MKO. 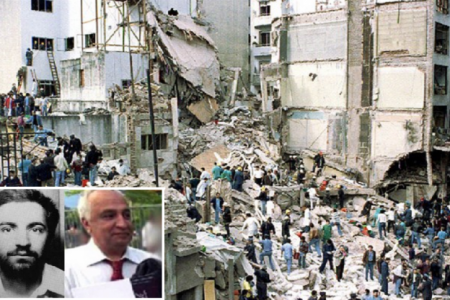 Among the dead was Mr. Mohammad Reza Bakhtiari. He is known to have attempted to escape from the camp on two occasions. Both times he was ‘arrested’ and prevented from escape by the MKO leaders. During the entry to the camp tens of Iraqi police officers were injured by MKO members throwing hand-made bombs, stones and other missiles. Two of them received serious injuries and were hospitalised for some days. The aim of the GOI was to establish a police station inside the camp. This was negotiated with the MKO leaders over two weeks, but they refused to cooperate. The Iraqi Government concluded that there was no other option but to start moving in forcefully to fulfil its obligation to deal with the terrorist cult. The GOI is clear about its mission and while it is necessary to have a police station inside the camp, every effort has been made to respect the human rights of the people inside. In fact according to the Human Rights Ministry of Iraq, the police station is necessary to ensure respect for the human rights of the residents. Although a police post has been established inside the camp, the Iraqi authorities have still not gained access to every building. The MKO have erected physical barriers around many of their buildings inside Camp Ashraf and are resisting inspections by the police.The police have reported that the MKO place the women in front and the men in the back. They regard this as an attempt to present a ‘soft’ target in order to manipulate police activity. The Iraqi police are aware that, in line with Rajavi’s ideological directives the leaders of the violent activities at Camp Ashraf are women military commanders. Since the police post was established, the MKO leaders have organised a sit down hunger strike among the rank and file. From observation of this activity, the police believe that they eat and drink enough to keep them going for several months. But the police are concerned that the leaders may kill people and claim they have died in the hunger strike. The police say there is no doubt that the MKO leaders have weapons in the camp. They are also certain that there are other activities or entities inside the camp that the MKO is very afraid of being exposed. The police are adamant that they will evacuate the MKO from the camp and get to the bottom of this. This is to be done shortly. The Government of Iraq has good reason to be angry with the US embassy and military which are in many ways actively supporting the MKO. One of the most recent escapees from the camp has produced evidence that after he handed himself over to the Iraqi police and asked them to remove him from the camp, US army personnel intervened, arrested him and took him to some MKO leaders. These MKO leaders tried to persuade and intimidate him to stay, but when he refused they were forced to hand him back again to the Iraqi police, who were finally able to take him to safety in Baghdad. In 2008 the U.S. Army closed its temporary internment and protection facility (TIPF) for MKO members who asked to leave the group. This resulted in dispersal of those who rejected MKO membership and had escaped from Camp Ashraf. After consultation with Massoud Khodabandeh and Batoul Soltani (a former member of the MKO’s Leadership Council who had also taken refuge at the TIPF), the GOI agreed to the interim measure of creating Sahar Family Foundation, an NGO, with the remit to provide temporary help to those who wished to escape Camp Ashraf.Ms Soltani remained in Iraq as the director of Sahar Family Foundation and successfully aided the former residents of the TIPF. 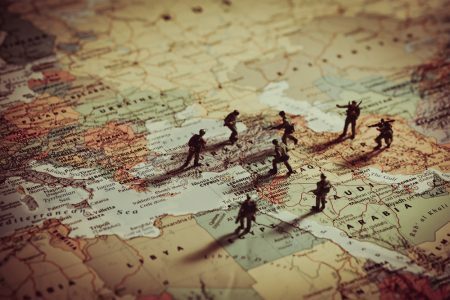 Some were voluntarily repatriated, a few remained in the Kurdish Regional Governorate where the American Army had moved them, and the rest were brought to Europe to establish claims as political refugees. Sahar Family Foundation is now in consultation with the Human Rights Minister in relation to the people in Camp Ashraf as well as those who have already escaped since January 1. Sahar Family Foundation is expected to work with the GOI to establish a separate camp for the people who request to leave the MKO. 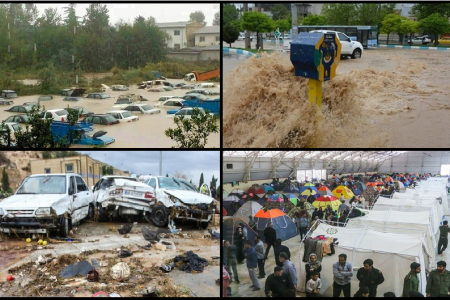 Sahar Family Foundation is also expected to work with Nejat NGO in Iran to bring the families of these people to the camp and will try to find solutions for individuals. The Iraqi government will help in this endeavour. The MKO’s western propaganda system includes Lord Corbett’s system in the UK, Raymond Tanter’s system in the U.S., Alejo Vidal-Quadras’s system in the EU and U.S. Congresswoman Ros-Lehtinen ( http://ros-lehtinen.house.gov/). In Middle East circles it is widely believed that Congresswoman Ros-Lehtinen is the orchestrator on behalf of AIPAC. She is also believed to be the person co-ordinating payment to the MKO through various channels (including the Lord Corbett system). She is originally from Cuba and it is believed that she uses the expertise of anti-Cuba consultants and PR agencies in support of the MKO.A major setback for the MKO propaganda system following the July 28/29 Iraqi police operation has been that it took place just as parliaments were closing for the summer vacation. This limited their ability to disseminate misleading information in order to elicit support and indeed to garner any parliamentary support. 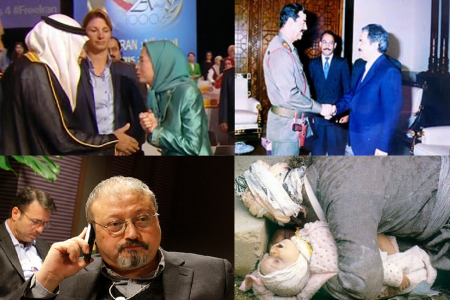 Undaunted, Rajavi’s propaganda system was successful in having western broadcast media give uncritical airings to the MKO’s own footage of the event as filmed from inside Camp Ashraf. The films as shown only superficially described what had transpired at the camp. However, the exaggerated figures of dead and injured did not rouse the censure of western political figures. Instead, the US Administration in particular emphasised that this was an internal matter for the Iraqi government. Several hunger strikes were therefore established by the MKO leaders outside U.S. embassies in western capitals. The problem they soon encountered is that it took some weeks for parliaments and even media to return from their summer vacations. The hunger strikes have now been continuing for over six weeks and yet there have been no evidence that anyone is starving to death. In response, Rajavi has ordered that the MKO members in Camp Ashraf, who are far away from the critical observation of the western media, continue the hunger strike to their deaths. 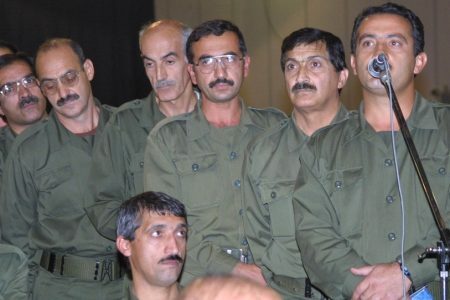 While it is possible that this is another of Rajavi’s propaganda tactics, it is also highly probable, based on past behaviour, that they will kill one or two of the rank and file members to put pressure on the Iraqi government and the U.S. Administration. There are some in the Government of Iraq who believe the U.S. has a direct interest in prolonging resistance to entering and searching Camp Ashraf. The MKO camp has never been searched, even after U.S. forces disarmed the MKO in 2003 (see the RAND Report). There are serious questions about what might be discovered if the Iraqi police are able to get in to investigate the whole camp. Cognisant of this dilemma, the GOI is willing to discuss this aspect of its activities on the understanding that the U.S. army accepts that the removal of MKO personnel from the camp is inevitable. The MKO has already begun to transfer its people and resources to Britain and Sweden to prepare for the collapse of the camp. 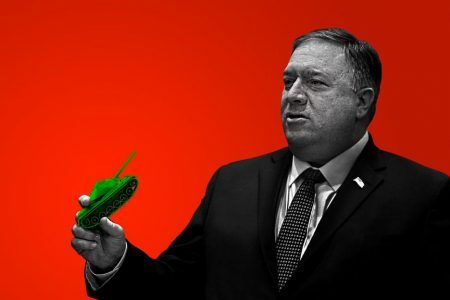 The MKO believes that since France and Germany have good trade links with Iran they will not tolerate them as much as Britain (due in main to the influence there of the Jackson Society and AIPAC) and Sweden (due to the relaxed laws that they have). The MKO is currently demanding that U.S. Army or the U.N. take control of Camp Ashraf from the GOI. Following publication of the RAND Report it should be the duty of the U.S. Army to help and facilitate in any way possible the immediate closure of Camp Ashraf and the removal of the MKO personnel from Iraq. The more help given by the U.S. to achieve this, the more that amends will be made not only to the Government of Iraq, but to the MKO members and their families who have suffered needlessly for the past six years due to the failure of the U.S. to deal properly with this terrorist cult.The GOI estimates that the MKO will remove at least one thousand of its own personnel and bring them to Europe – the preferred locations are the U.K. and Sweden. About 1000 will return to Iran within a few months and the rest will disappear during the first year. The MKO will bring their activities to the EU (the financial, fraud and counterfeit departments will be transferred to London). The UK or other countries will not be in a position to prevent this. The best outcome will be if the rank and file can be helped to integrate into normal society. This means that they first have to be separated from the cult leaders for some time. In consultation with the GOI I have put forward the following steps. The GOI should arrange for individual, private interviews and counselling to all of the residents of the camp. The GOI should arrange for a thorough search of the camp. It is already known that there are weapons inside the camp in direct contravention of the ceasefire agreement. It is known that there are people buried inside the camp that are unaccounted for, in particular a mass grave allegedly containing Kuwaiti nationals has already been found. It is known that the U.S. Army failed to search the camp in 2003 even though there were rumours of illegal activities and resources at the camp. Western governments and humanitarian agencies must cooperate fully with the Iraqi authorities to help restore basic human rights to the people trapped inside Camp Ashraf. Any activities or resolutions should reflect the realities on the ground and give support to the humanitarian approach taken by the Government of Iraq to resolve this difficult problem. 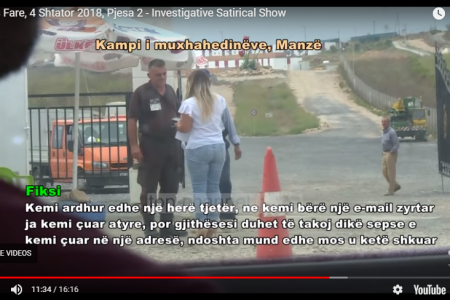 Parliamentary and/or humanitarian agency fact-finding missions should apply directly to the GOI to visit Camp Ashraf to verify such facts as would influence their activities and/or statements. 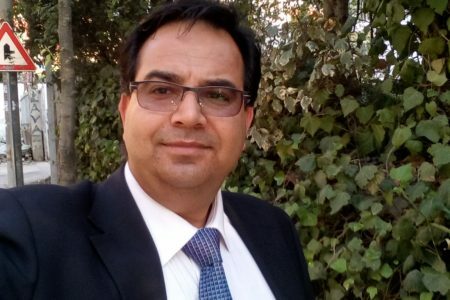 The focus of western politicians must be to prevent any further political abuse of Mojahedin-e Khalq members in Camp Ashraf held captive by their leaders, and guarantee the individual rights of those who renounce violence and are willing to return to society. 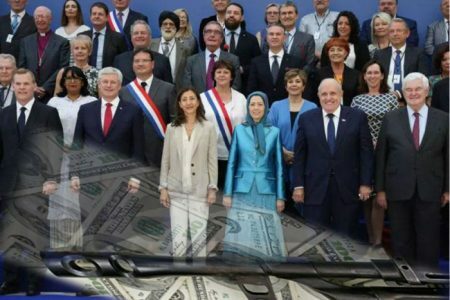 Any concerns raised in western parliaments should, above all, reflect the responsibility of western countries toward the victims of the Rajavi cult. In particular, for individuals in Camp Ashraf with residency or asylum rights in western countries, provision should be made for their rapid transfer back to these countries. European governments also should work with the UNHCR to find third countries to which other individuals in Camp Ashraf can be transferred. The MKO should be required to allow free and unfettered access to all of the individual residents inside Camp Ashraf to the Iraqi authorities and to official humanitarian investigative agencies. The MKO should be required to allow free and unfettered access to the immediate family members of all the individual residents inside Camp Ashraf without supervision by MKO operatives. Mojahedin leaders, Massoud and Maryam Rajavi, and other leading members who have escaped the camp should be arrested and brought to justice through international courts for war crimes and crimes against humanity.